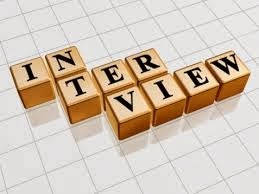 2 Arrive at least 15 minutes before the interview. 3 Read about company materials (if available at the waiting area) while you wait. 4 Introduce yourself in a courteous manner. 5 Have a firm handshake with a broad smile. 6 Listen attentively and then answer. 8 Smile, nod, and give nonverbal feedback to the interviewer. 9 You do not need to have an answer for every question. ‘I don’t know’ is a better answer than fabricating something on the spot. 10 Ask about the next step in the process, Thank the interviewer for his time and restate your desire to be a part of his organization. 1 Background of the organisation. 2 Major products or services. 3 Size in terms of sales and employees. 4 Presence across the country. 5 Organisational structure of the company. 6 Growth opportunities – of the organisation and yourself. 8 Mission Statement / Vision of the company. 9 Image of the company in the eyes of clients, suppliers, and competition. You hear your name called by that nice looking lady behind the reception desk and she guides you to the HR Manager’s room. You see a lean looking guy adjusting his glasses. He moves his eyes off your resume and gazes at you. What should you tell him? Don’t tell him where you were born and raised or don’t tell him you were the NCC parade leader. Focus on your academics and experience. Always ask yourself what are the top five things your recruiter would like to know from you. Even though recruiters would ask questions more dicey and piercing than “Tell me about yourself “ it is still likely to come up in many interviews and its best for you to prepare for it. 1. Where do you see yourself Five years from now? The recruiter would like to know whether you are looking for long-term growth or you are just looking at this job as a short term spring board. The recruiter would hate to hear “I wanna become a businessman“, “I wanna be a CEO’. 2. How do you make yourself indispensable to the company? A recruiter always looks for both technical and interpersonal skills. Don’t just keep talking about your strengths but relate them to the position offered so that the recruiter feels that you are the right candidate for the job. Don’t give a straight answer “I am short tempered, I am lazy”. Give answers like “I always speak over phone rather than sending emails but I have a strategy to tackle it”. 5. Tell me about a time when your assignment was heavy. How did you complete all your work? The recruiter here looks for planning orientation attitude, multi-tasking and anticipation of workload. Your answer should talk about a tough project in your college and how you prepared for it and achieved the best. 6. How will you accomplish a task with someone difficult to work with in your team? Recruiter here wants to assess your sensitivity towards others’ feelings and how you influence them. This is one of those questions where people fumble while answering. In other words, the answer to this question defines whether you are a team man. 7. How do you react when you are asked to move in a particular direction regardless of your views and ideas? The recruiter here wants to assess your team play capability. Do you go with the consensus of the team whose views may be different from your opinion or do you stand out like a sore thumb. 8. What kind of environment motivates you? Recruiter here looks for teamwork orientation and whether a team-based environment motivates you. You can answer with an example of how you galvanised your team members to organize your college cultural activity or your sports team…and how you successfully achieved your goals as a team. 9. How do you tackle a situation where you are in a dilemma? Say if you are working as a customer support and a loyal customer asks for a favour, which is different from the company policy, what would you do since you don’t want to lose the customer? The best way to handle such a situation is to talk to your supervisor and explain to him the situation clearly and ask for a solution. 10. How you would handle a situation where there are no company guidelines? There is only one answer for this - “in a way that is right for the customer as well as for the organization”.